The versatile flutist Cheryl Pyle received her BA in music from the University of California at Berkeley in 1976, having received her Associates Degree from Mesa College in 1974. Her teachers included Merrill Jordan, Janet Maestre, Francis Watson, and Jayn Rosenfeld. She took Master Classes with Jean-Pierre Rampal, Julius Baker, James Newton. At Berkeley, she was a member of the school's orchestra, and she possesses an extensive classical solo repertoire. From 1975 to 1976 she served as Musical Director of the Berkeley Shakespeare Festival, and she has performed in orchestras for over half a dozen musical theater productions. From 1977 to 1980 she was on the faculty at Berkeley as its flute teacher in the Jazz Department and taught at the Manchester Music Festival in Vermont in 1993 and 1996. While at Berkeley, Ms. Pyle was Principal flutist in the University Jazz Ensemble. This group appeared at the Pacific Coast Jazz Festival where they played with such major artists as Sonny Rollins, George Duke, Freddy Hubbard, Hubert Laws, and Joe Henderson. They also performed at the 1976 Concord Jazz Festival. After graduation, she performed extensively in the San Francisco area, where she was a performing member of the Loft Jazz Association. She played with many notable Bay area musicians, including Bishop Norman Williams, Susan Muscarella, Bruce Forman, and Jessica Williams. Since moving to New York in the fall of 1980, Ms. Pyle has been heard in a variety of settings. She has appeared at such jazz clubs as the Blue Note, Jazz Forum, Seventh Avenue South, Angry Squire, Kave Haz, the Garage, Cornelia Street Café, CBGB's Art Gallery, St. Peter's Church, Amazonas, Fat Baby's, Bar on A, Abc no Rio ,Brecht Forum, Sycamore, Zirzamin, Frost Gallery , Shrine and Birdland. She was also heard at the Annual Women's Jazz Festival as well as the Mount Vernon Jazz Festival in New York. She is a member of the World Flute Orchestra and NY Jazz Flutet. Her jazz composition, Dalle Alle, was awarded in 1989 by the Billboard Song Contest, and her lyrics have received numerous poetry awards such as the Gold Poet Award in 1989 and 1990 . Her lyrics have been recorded by such fine jazz singers as Janis Siegel (of Manhattan Transfer), Roseanna Vitro, Jeri Brown, Judi Silvano, Gloria Cooper and Sheila Jordan. her lyrics have been recorded on Atlantic, Justin time , Muse and Concord records. She has performed her solo flute compositions at Kitty Brazelton's Real Music Festival in 1993, continues to compose works for jazz flute. In 1996, she performed in the opera premier of The Other Wiseman by Stephanie de Kennessey with the Golden Fleece Opera company in New York. Her first classical recording was the Frostiana song cycle with the composer, Randall Thompson conducting and cheryl pyle as flute soloist. Ms Pyle has performed and played with such fine musicians as Joe Lovano, Andy LaVerne, Fred Hersch, Tom Harrell, Mark Soskin, Billy Bang, Danilo Perez, Mike Holober, Nick Gianni, David Phelps, Chuck Loeb, Mark Cohen, Steve LaSpina, Michael Cochrane, Ron McClure, Billy Hart, Ben Monder, Sergio Brandao, Max Ridgway, Randall Colbourne, Billy Hart, Adam Nussbaum, Duduka Fonseca, Charlie Haden, Arthur Kell, Lucy Galliher, Bele Beledo, Premik Tubbs, Frank Burrows, Neil Alexander, Danny Gottlieb, James Williams, John Abercrombie, Paul Motian, Peter Washington, Joop Wolters, Stephan Crump, Rez Abassi, Stomu Takeshi, Newman Taylor Baker, Daniel Carter, Gerry Gibbs, Max Johnson, Atma Anur & others. She has recorded on Contemporary and Chesky Records with Tom Harrell, Joe Lovano, Danilo Perez, Charlie Haden and Paul Motion. Her lyrics have been recorded on Atlantic, Justin Time, Muse and Concord Records. Since recording her first quartet cd in 1997-DALLE ALLE on the 11th street music label, the jazz group has been playing many jazz clubs and concerts. In 2008 , also 2 performances with Joop Wolters in nyc performing his music at Bar on A and Fat Babys . 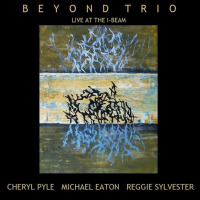 In 2009 with the new recording -TIL SOON -cheryl pyle trio on 11th street music , she continues to play venues in the nyc area. Some recent gigs were held at Cultural 5- C Cafe, Downtown Music Gallery, Spectrum , Zirzamin, Sycamore-Radio Zero, Tong Ren Center, NUBLU, Gizzy's, Brecht Forum , Frost Gallery, CultureFix, Bar on A , Fat Baby's , Zirzamin and Ms Pyle often performs at the sunday free jazz sessions at ABC NO RIO. Some other 2009 recording projects include cds for blood fountains-FLOODS -stephen kasner, and altar of oblivion-SINEWS OF ANGUISH with Martin Sparvath. 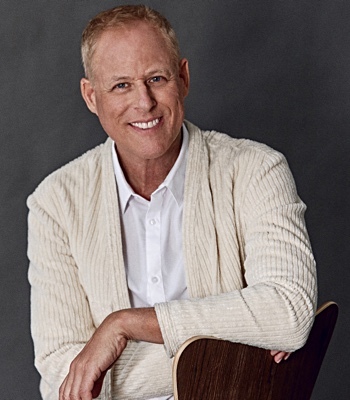 In 2010 SURREAL was released on the 11th street music label and Audio Chocolate -Paul Tauteroff's cd -featuring cheryl pyle's flute on the 9th song, The Journey . INSIDE DIALOGUE was recorded and released jan 2011, available on itunes, cdbaby, dig station, or order direct from me. SOUL DUST-11th street music cd release also in 2011 with max ridgway, cheryl pyle and randall colbourne. 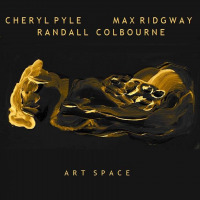 Releases for 2012 include SOUND SCULPTURES- Cheryl Pyle -11th street music -2012 -Cheryl Pyle -flute & bass with Max Ridgway -guitar and WONDERFUL TIMES -Dewey records/KAZHARGAN-2012- Piano-: Stan Zaslavsky (Russia). Trumpet: Hans Peter Salentin (Germany). 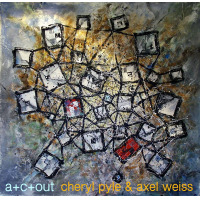 Flute: Cheryl Pyle (New York). Sax: Brian Mitchell Brody (USA). Guitar: Max Ridgway (USA). NS Double bass: Tony Cimorosi (New York). Electric bass: Sean O'Bryan Smith (USA). Drums & Percussion: Alexsandre Zaslavsky (Russia) and and FLOW - cd with Axel Weiss, Oddrun Eliki, Arne Hiorth , Sean O'Bryan Smith and Stan Z. 11th street music cd releases in 2013 include Green Underworld -wth Max Ridgway and Randall Colbourne, Far Out . 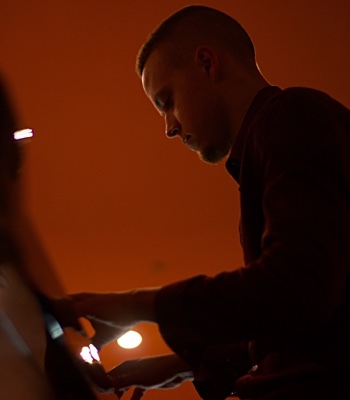 Performances in 2012 include flute and bass duo with live painter Anthony Cerretani , and participating in the Dissident Arts Festival Orchestra in 2012, 2013,and 2014 with Nick Gianni, Quincy Saul , Mossa Bildner, Javier Hernandez-Miyares, Ben Barton, Rocco John Iacavone, Javier Hernandez-Miyares, Ben Barton, Nora McCarthy, Erika Dagnino, Laurie Towers, Ras Moshe, Nicolas Letman-Burtinovic and John Pietaro, improvising a live score to the silent film classics Metropolis , Cabinet of Dr Caligari and Battleship Potempkin. Ms Pyle is available to play duo, trio, or quartet. looking forward to more music, projects and recordings. write me if you are planning some flute on your new cd, or would like music lessons in the nyc area or worldwide with skype. Tom Harrell -Passages- CD This CD is most notable for featuring ten of trumpeter Tom Harrell's compositions. Few of the melodies from the harmonically advanced originals will stick in one's mind after one or two listens, but the solos are excellent (and in Harrell's case, often exquisite) and the generally melancholy moods of the advanced hard bop pieces are memorable in their own way. In addition to Harrell, Joe Lovano is in fine form on tenor, soprano and alto, Cheryl Pyle's two guest appearances on flute are a bonus and the rhythm section is supportive and alert with pianist Danilo Perez emerging as a major soloist, taking the title cut as a lyrical free improvisation duet with Harrell. An intriguing and thought-provoking session. ~ Scott Yanow Recorded at BMG Studio A, New York, New York on October 10 & 11, 1991. 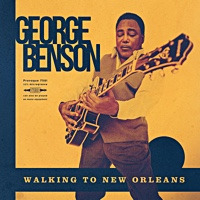 Includes liner notes by Ken Franckling. 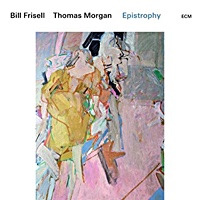 Personnel: Tom Harrell (trumpet, flugelhorn); Cheryl Pyle (flute); Joe Lovano (soprano saxophone, alto saxophone, tenor saxophone); Danilo Perez (piano); Ben McGlinn (ARP synthesizer); Paul Motian (drums); Café (percussion). KITTY BRAZELTON'S REAL MUSIC SERIES MUSIC PARTY IV 12/19/93 -BURN: SONGS TO BRING BACK THE SUN a Sunday Saturnalia in celebration of the winter solstice Sunday at CB's gallery-extension of CBGB's With DADADA, Cheryl Pyle, Tom Varner, Cellovision!, David Krakauer, Roland Wilson, Christine Bard & Jim Pugliese, and others. KNITTING FACTORY KNOTES MAY JUNE 1997, ALTERKNIT THEATER — CHERYL PYLE QUARTET THE CHERYL PYLE QUARTET has an abstract straight-ahead, if not ethereal quality which inspires intricate textural and rhythmic variety in the improvisations. Featuring David Phelps guitar, Stephan Crump bass, Kirk Driscoll drums and Cheryl Pyle flute. JAZZ ARISTS PERFORM A NJCVA NJ SUMMIT OBSERVER, Thursday Sept. 17, 1998 CHERYL PYLE QUARTET The New Jersey Center For Visual Arts established several first for itself when it opened an exhibition for David Bate and Betty Woodman Sunday afternoon. Serenading the opening of Paradox in Paint, Wood and Clay were the Cheryl Pyle Trio, led by flutist Cheryl Pyle. and is their first performance at the center. Both capture elements of cubism and jazz. 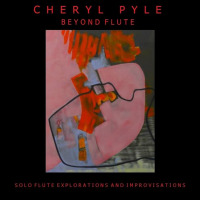 INSIDE DIALOGUE CD 2011 - 14 new jazz flute compositions by cheryl pyle -flutist on 11th street music. recorded in new york. cheryl pyle -flute , bass, piano, effects -boss br600. the tunes have an etherial quality. the songs range from jazz and latin to experimental . progressive jazz flute melodies , metric changes and free within the structures. cheryl pyle- soul dust Cheryl Pyle verrast vrij snel na haar prachtige soloalbum met een freejazzplaat met band. De band bestaat naast Cheryl op fluit en elektrische bas uit Max Ridgway op gitaar en akoestische bas, en Randall Colbourne op drums. Een trio dus, verbazingwekkend genoeg, want als je zit te luisteren zonder dat je dat weet denk je regelmatig dat er een veel uitgebreidere band zit te spelen. Het is magische muziek, want hoewel je soms denkt dat ze maar wat doorkabbelen en meanderen zitten ze ongemerkt de prachtigste muzikale tapijtjes in elkaar te toveren. Dit is muziek waar je je gewoon aan moet overgeven. Ontspan, ga luisteren, laat de muziek het overnemen en ga op reis. Een mooi groeiplaatje dat al zijn geheimen pas prijsgeeft als je er vaker naar luistert. cheryl Pyle- Soul Dust Cheryl Pyle surprised soon after her solo album with a stunning free jazz album with the band. The band consists of Cheryl on flute and electric bass by Max Ridgway on guitar and acoustic bass, and Randall Colbourne on drums. A trio is, surprisingly enough, because if you're listening without knowing it you often think that a much broader band is playing. It's magical music, because even though you sometimes think they just trickling through stippling and they sit silently together in the most beautiful rugs musical magic. This is music where you just have to surrender. Relax, go listen, let the music take over and go on a trip. A nice growth plate reveal their secrets only when you listen more often. Just let go and fly-If this album had not been calledSurreal“ which obviously is the most fitting title one could think to describe the very nature of the songs it contains, it could also have been called “Songs from the Inside”. From the inside of our minds at a moment when everybody is most him- or herself: in the strange stadium between still dreaming and waking up, when soul and mind float weightlessly outside our bodies whose weight we still don’t feel. What a blessing to leave this weight behind and just fly! There's no gravity any longer, space is wide open into every direction. Turn to wherever you want to go: dance in pirouettes through the vast starlit darkness while your heart beats in syncopes and swift runs as it follows the flying fishes to their constellation or pulses heavily in the all-consuming keynote of the heart nebula. And finally, as the arriving day rises in the new light and the night becomes tiny and vanishes, look up to the sky: it will be covered with lenticular clouds, a greeting from where you just came. Who would ever want to become “real” again? It is a vivid picture of three promising musicians frozen in a point of time. It is music that is free, tonal and mellow. I think even people who don't ordinarily go for the free-er echelons of improvisatory music will appreciate this one. Cheryl does not emerge fully formed (as from the head of Medusa) but is a work in progress. Very promising. And very interesting music. Go to Cheryl Pyle's My Space page to hear some samples of the music; go to her site cherylpyle.blogspot.com for more info and/or to order the album. WONDERFUL TIMES -dewey records/kazhargan-2012- This excellent new jazz release is the happy result of cross- national internet file sharing — often a recipe for clunky step-on-each-other's-foot instrumental interplay but you wouldn't know it from the seamless results to be heard here. Among the many multi-talents on display is trumpet from Cologne (Hans Peter Salentin), saxophone and guitar from Oklahoma (Brian Mitchell Brody, Max Ridgway), flute and bass from New York (Cheryl Pyle, Tony Cimorosi), electro bass from Tennessee (Sean O'Bryan Smith) — all under the benign leadership of keyboardist Stan Zaslavsky (from Russia), who has dubbed the whole project Kazhargan World. Drummer and percussionist Papa Z (Stan's father) provides the supple rhythms which hold the whole thing together. In some ways this is a sunlit version of an intriguing, noirish ECM session from a few years back called NEW YORK DAYS, released under Italian trumpeter Enrico Rava's name but which also included a even-handed mix of American and European musicians. Likewise the sound on WONDERFUL TIMES is a post- fusion melange of late-Miles themes and other contemporary jazz tropes. But it's never overly abstract or typically avant-garde or, worse, second-hand. Instead there's a happy, dancing quality to the whole bright affair. Hans Peter Salentin's strong trumpet work (alternating on mute) predominates but it is Cheryl Pyle's fluent flute work which truly shines in the mix. Pyle also contributes some evocative spoken word interludes (Invisible Celebration, Irene Was Here), her unmistakable American accent grounding this ostensible world project in some ideal, imaginary USA of the ear. 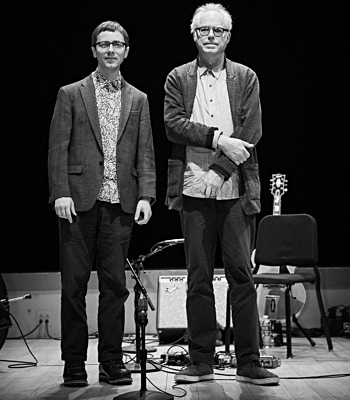 Throughout Zaslavsky provides sympathetic support on acoustic and electric keys, giving ample room to his selected group of soloists, and never once hogging the proceedings. 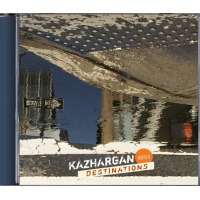 Kazhargan World Wonderful Times Dewey Records 2012 So I'm digging the cover art... A nice warm sound that is earthy along with some interesting post modern riffs bordering on accessible free jazz only to discover the musicians involved in the project were never actually present in the same room at the time of the recording. 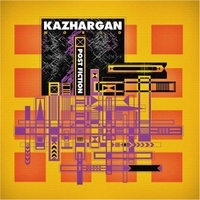 Enter Kazhargan World. An international jazz collective from Russia, Germany and various areas within the United States of America. Artists in all genres have occasionally phoned it in using various electronic platforms with the end result being predictable and incredibly sterile. Not this time... 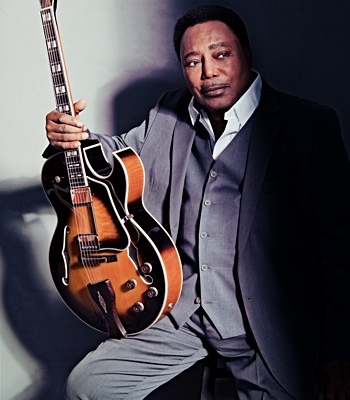 The opening tune Wonderful Times has an intriguing swing with a subtle undercurrent of harmonic dynamic tension. 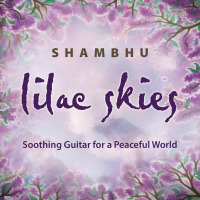 A textured sound that brings an amazing sonic depth of field to the forefront. A tune that is a critics worst nightmare and guaranteed to have label executives perched on the nearest ledge as this eclectic ensemble artfully dodges any previously accepted sub-genre jazz has to offer. Contemporary beatnik meets post modern free jazz? “To sculpture” means to fetch a form still invisible out of a block of material, may it be marble, wood or clay – or figuratively, out of an empty canvas or even the vast realm of sound itself. That this form is invisible yet doesn’t mean it wouldn’t exist … “to sculpture” means to remove the unnecessary until only the essential remains. 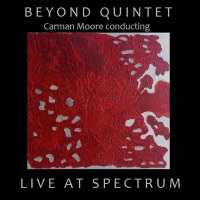 Sound Sculptures therefore is the fitting name for this astonishing free jazz album worked by the excellent NYC jazz musicians Cheryl Pyle (flute and bass) and Max Ridgeway (guitar), as it has been carved out of the block with endless care for the essential, for the pure sound. C. v. Hindte March 25 ,2012 11th street music digital release 2012 .. purchase mp3s here direct from the composer http://cherylpyle.blogspot.com/2012/01/sound-sculptures- cheryl-pyle.html  We’re living in times that enable us to keep contact via internet, and not only to keep in contact, but to cherish friendships, to share thoughts and emotions, to let others take part in our lives. There don’t seem to be borders any longer. But what about also making music “the virtual way”? Could it ever be possible without losing spirit, mood and authenticity? It seems like this … “Wonderful Times” is a little musical miracle worked by a group of musicians from different parts of the world: Stan Zaslavsky (Russia) on piano, Cheryl Pyle (New York) on flute, Hans P. Salentin (Cologne, Germany) on trumpet, Max Ridgway (Oklahoma) on guitar; Brian M. Brody (Oklahoma) on saxophone, Tony Cimorosi (New York) on bass, Sean O Bryan Smith (Tennessee) on electric bass and Papa Z (Russia) on drums. 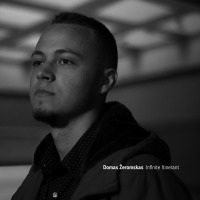 Most of them never met face to face – and yet the result of this international collaboration is one of the finest modern jazz albums I’ve listened to so far! The thousands of miles between the continents where are they? Resolved into a dew, into nothing but the here and now, not a physical face-to-face, but quasi a “face to face- state” of like-mindedness in music. Cheryl’s poetry in spoken words in “Other constellations” and “Irene was here”, framed only by light, swift flute runs and piano are the beautiful serious counterpoint to the wonderfully serene title track “Wonderful Times”, the other tunes lined up like pearls on a chain between those poles, a spectrum from joyful to poetic that embraces all colours. Although there is quite some music of which I could say that it made me serene and happy by listening, this album definitely adds its own quality to it by the sheer joy of making music that just bursts out of every note and by its outstanding, highly artistic approach. It is one thing to have outstanding musical ideas – but to transform them into reality with musical means in the perfection shown here, yet warm and full of life is an achievement that is a class of its own! Congratulations! Cheryl Pyle's new album Sound Sculptures (self-released) pulls together where she is as an artist—flautist, bassist, composer, poetess. It's twelve pieces of pure Cheryl. Her compositions are chamber jazz in the best sense of the term. Like Giuffre she maps out musical motifs in bare-boned contexts—often her flute and electric bass in combination— and builds improvisations around the thematic material. She has a beautiful tone on flute and an ear for phrasings that have new music elements as well as those of jazz. Some tribal bedrock can be felt too in the twists and turns of some of the riffs. Sunday nights at ABC No-Rio are always unpredictable, but the Feb. 10th benefit (to help fund new building construction) was particularly carnivalesque, mainly because host/alto saxophonist Blaise Siwula scheduled each act into 10- and 12-minute sets, ensuring variety yet forcing performers to make their musical ‘points’ succinctly. After an informal opening jam, multi-instrumentalists Kali. Z. Fasteau and Daniel Carter set a high bar for those following. Stand-out moments included: five taut sketches by tenor saxophonist Jason Candler and tuba player Jesse Dulman; three pieces by soprano saxist Rocco John Iacovone and bassist Nicolas Letman-Burtinovic; a duet by cellist Diana Wayburn and duduk (Armenian double-reed) player Edith Lettner; an exciting matchup with Siwula and guitarist Cristian Amigo; an impromptu set with four saxophonists (Carter, Siwula, Candler, Iacovone) and pianist Constance Cooper; a ‘free-funk’ outing with guitarist On Ka’a Davis and drummer Vin Scialla; the avant-improv theater of Anne Bassen and Emmanuelle Zagoria; a challenging but riveting piece by guitarist Chris Welcome; Dikko Faust’s trombone painting; flutist Cheryl Pyle’s trio with Carter and Letman-Burtinovic; a low-end duet by bassoonist Claire de Brunner and bassist Jochem Van Dijk; Siwula and Iacovone’s sax summit; pianist Evan Gallagher and drummer David Gould’s rowdy têtê-àtêtê and the gentle closure of violinist Cecile Broche and bassist Francois Grillot. “Magnetic Entities” with its fast flute runs and counter- rhythmic guitar and drums falls into line with “Path of the Taboo”, being its counterpart regarding the way of musical expression as well as in respect to the meta-level of interpretation. Magnetic – this means “between two poles”, the positive and the negative, attraction and repulsion. A work of art as an entity never displays only one of these aspects, it always moves between those two poles – it is the asymmetric, the seemingly imperfect, the little flaw that enables perfection. On Saturday, 16 February, THE DISSIDENT ARTS ORCHESTRA, provided an improvised score to a newly restored version of Sergei Eisenstein’s seminal film Battleship Potemkin at the 17 Frost Theatre of the Arts in Williamsburg Brooklyn. Led and conducted by THE RED MICRPHONE‘s vibraphonist/percussionist John Pietaro , the Orchestra included on this night Nora McCarthy on vocals, Cheryl Pyle on flute, Quincy Saul on clarinet, Rocco John Iacovone on soprano and alto saxes, Patrick Brennan on alto, Ras Moshe on soprano, tenor and flute; SoSaLa’s Sohrab Saadat Ladjevardi (making his debut with the DAO) on tenor sax and vocals, Alon Nechustan on accordion, Javier Hernandez- Miyares on electric guitar, Laurie Towers on electric bass, Nicolas Let-man-Burtinovic on double bass, and Hollis Headrick on drums and percussion. With such a large ensemble, even one who for the most part has played together consistently before, it’s always important to make sure that everyone’s on the same page, and conductor Pietaro performed this duty quite well. There were several cues that he could give, for example having the band play around a certain tonal center, or time signature; another cue had the band play the “Internationale” (generally when the red flag was raised); alternately, Pietaro could bring instruments in and out of the mix with a good deal of freedom for them to choose just what to play at the moment. The Orchestra rewarded this confidence by playing very well together over the course of the evening as a cohesive and synergetic unit. flute clinics discussing technique , soloing , and performance- also lyric writting clinics are available. All About Jazz musician pages are maintained by musicians, publicists and trusted members like you. Interested? Tell us why you would like to improve the Cheryl Pyle musician page.